"To those who keep asking, I have no gender, no sexuality and no fucks to give," tweeted musician Shamir Bailey. To many, the thought of life without gender is as foreign as the idea of life without a body: unthinkable or even impossible. But for some, like Bailey, it is just the reality of life. As awareness of gender-neutrality becomes more common, RIT is working diligently on becoming a place where every person feels comfortable. There are many names and variations of gender-neutrality, including agender and non-binary gender. A gender-neutral person often chooses which pronoun they prefer, while some have no preference. Gender-neutral pronouns range from they, them and their to xe, xem and xyr. Tyler Ford shared their unique self-discovery story with the Guardian. Raised as a girl and then having transitioned to a man, Ford realized that they did not feel at home with either gender. "On my first day off the hormones, I shaved just one of my legs.  To me, this symbolized my confusion and made a statement about the current state of my gender-identity: in flux," Ford shared. From dating to bathrooms to housing, life as a non-gendered person in a world made for binary genders can be incredibly frustrating. RIT is trying to make that world a little better, however, there are many obstacles to making this a reality. All of RIT's upperclassmen housing options are gender-inclusive, meaning that people of any gender can share apartments or suites together. The struggle comes with the residence halls, most of which have shared bathrooms. The second floor of Ellingson is currently the only gender-inclusive floor in the residence halls. This is possible because of the suite style of Ellingson dorms; three dorm rooms share a bathroom with one toilet and one shower. The reason other residence halls cannot have gender-neutral floors is because of their shared bathrooms — a floor will have one female bathroom, one male bathroom and often, but not always, a unisex handicap bathroom. New York state has complicated laws that prevent these floors from becoming gender-inclusive. "RIT, like most universities, has been rapidly rolling out changes to policies and procedures in order to offer our students an environment that is comfortable and safe and to ensure that we are in compliance with the law," said Carla DiLella, executive director of Housing Operations and Global Initiatives. Students can change their preferred name and gender at the Registrar's Office. 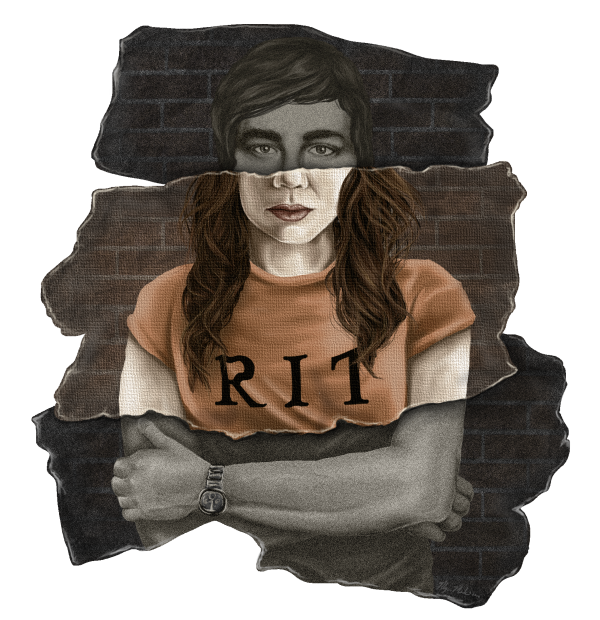 RIT's progress toward gender-inclusiveness isn't limited to housing, either. Communications sent from RIT either include no reference to name or gender or use the preferred name. Students can change their preferred name and gender at the Registrar's Office and get a new student ID to match. University employees are now trained to avoid using a legal name if a preferred name is available. It may not seem like much, but it makes a big difference to those who experience gender dysphoria. RIT still faces challenges when it comes to becoming completely gender-inclusive; many of these issues come from existing infrastructure built in the '60s. For example, there are two locker rooms in the Student Life Center (SLC). A gender-neutral person would have to choose either the men's or women's restroom or change in a bathroom across the SLC in order to access the pool. RIT has had gender-inclusive housing for roughly 25 years. According to DiLella, RIT has had gender-inclusive housing for roughly 25 years in the on-campus apartments. The Ellingson option began only recently; there was only one interest person the first year gender-inclusive housing was available to freshmen students.. However, in the years since, interest has grown. RIT is one of only a few universities that offer gender-inclusive, or co-ed, housing options for freshmen. When students fill out their Housing contract, they can mark whether or not they are interested in gender-inclusive housing on a drop-down menu for specialized floors. They can then be matched with a roommate who has also chosen that option. DiLella pointed to RIT's benchmark universities — schools that RIT compares itself to — as a way to measure how progressive RIT is compared to its peers. There are 21 schools on the list; only three of these schools — Case Western Reserve University, Northeastern University and State University of New York at Buffalo — have clear information about the availability of gender-neutral housing for all students, including freshmen. Another nine of these mention availability of gender-neutral housing to upperclassmen, with varying degrees of effort required to obtain said housing. Pace University, for example, requires potential mixed-gendered roommates to fill out packets and attend meetings before they are granted an apartment, room or suite. This leaves nine benchmark schools that have very little information about the availability of gender-neutral rooms. This means that for non-gendered or transitioning individuals, they must reach out to different administrators, explaining their situation each time, until they can have alternate housing arranged. This process can often be degrading and time-consuming. Pre-arranged, gender-neutral housing eases this process and allows individuals to avoid uncomfortable questions about their private life. Comparing RIT to its peers reveals that RIT has competitive gender-neutral housing policies, and DiLella says that there are more gender-inclusive options to come. Ford expressed the difficulties of being a gender-neutral person to the Guardian: "Going out at night often requires swapping that yellow, vinyl skirt for black skinny jeans. I know what happens to people who look like me on public transport or while walking home at night." At RIT, however, non-gendered individuals can focus on their school work, comforted by the fact that the university is continuing to work on policies to become more gender-inclusive. "There are still changes to come," said DiLella. "Housing Operations follows the evolution of university policy changes."